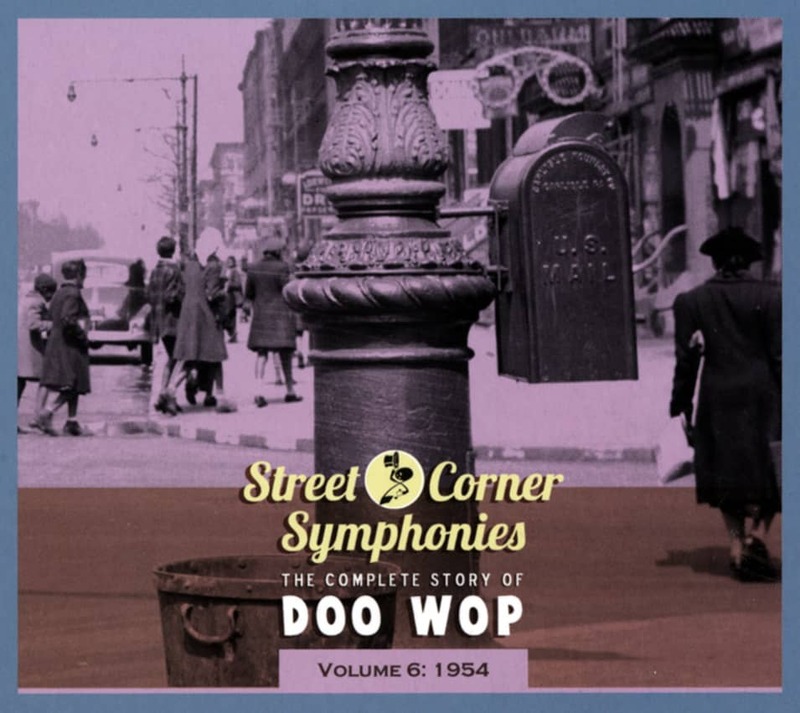 (Ace Records) 26 tracks 1952-55 with 12 page booklet. 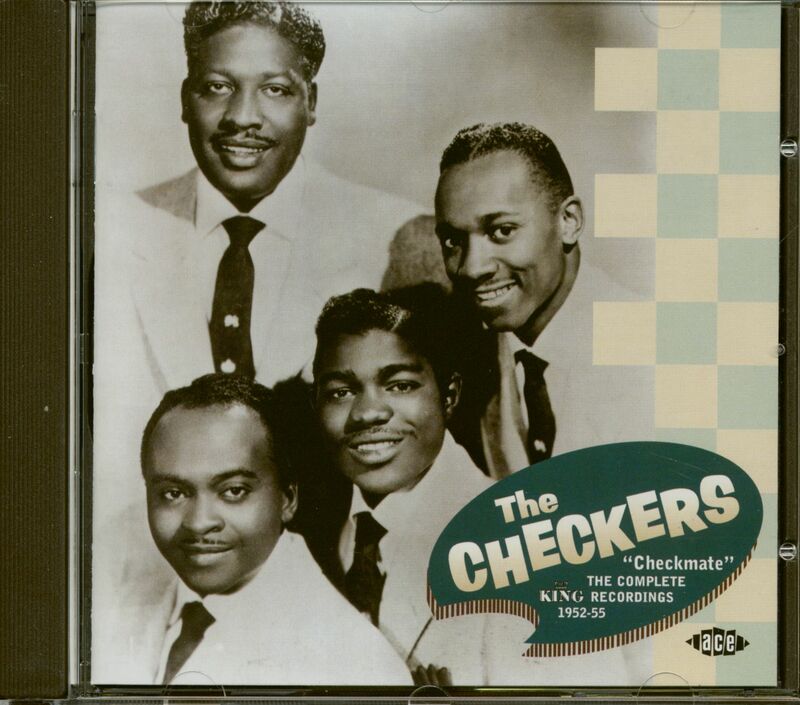 The Checkers might well be the most obscure supergroup of all time. The act had so much going for it, yet little is ever likely to be known about some of its members. 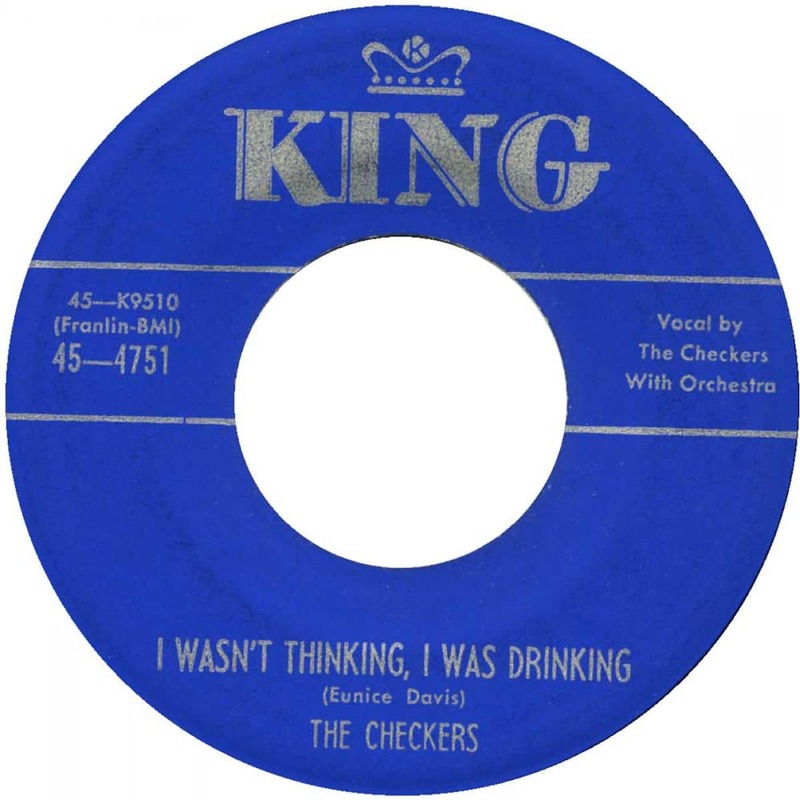 Checkers Bill Brown, David Baughan (sometimes spelt Baughn), Charlie White and John Carnegie all died before the major R&B researchers had a chance to do their thing. What we know is largely through the diligent research of noted R&B historian Marv Goldberg, who spoke at length to later member, Perry Heyward during the second half of the 90s, but his few reminiscences were largely limited to his own very brief tenure with the group. However, you don't need to know that much about who's singing here to know that CHECKMATE the first-ever CD reissue of the Checkers' King recordings to be taken directly from the original mastertapes is the real deal, and a true treat for R&B group lovers everywhere. sang while with the Dominoes!). The more intense affairs are handled by 'Little' David Baughan, twice a member of the Drifters and looking down the line towards soul music on House With No Windows and I Promise You. 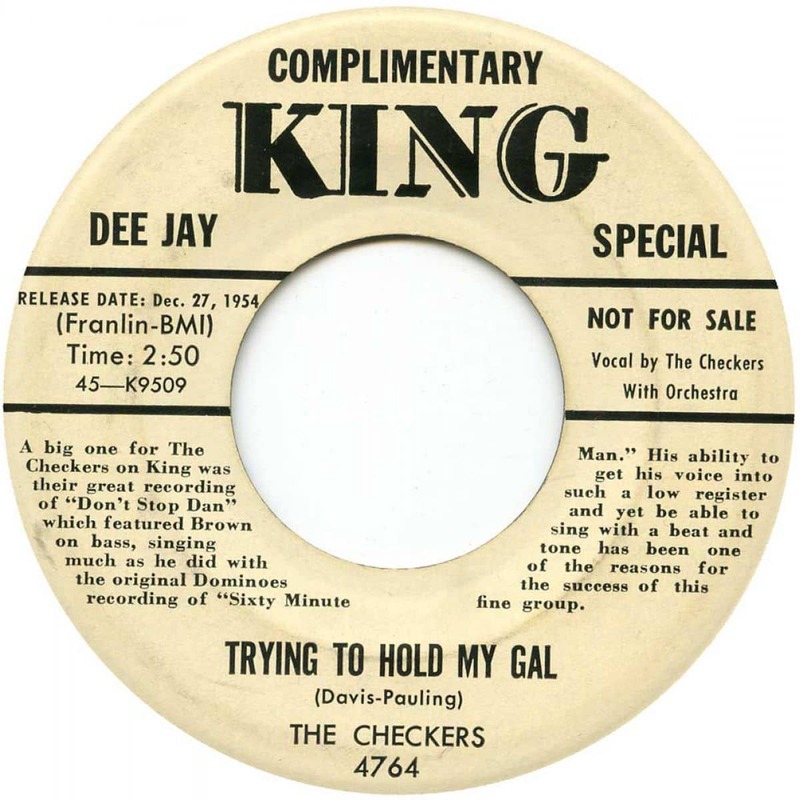 The group's other lead tenors were no slouches either check out soon-to-be-Clover Charlie White the actual founder of the Checkers on Flame In My Heart and John Carnegie's magnificent rendition of Night's Curtains (a stupendously rare, and expensive, item on the original King 45). 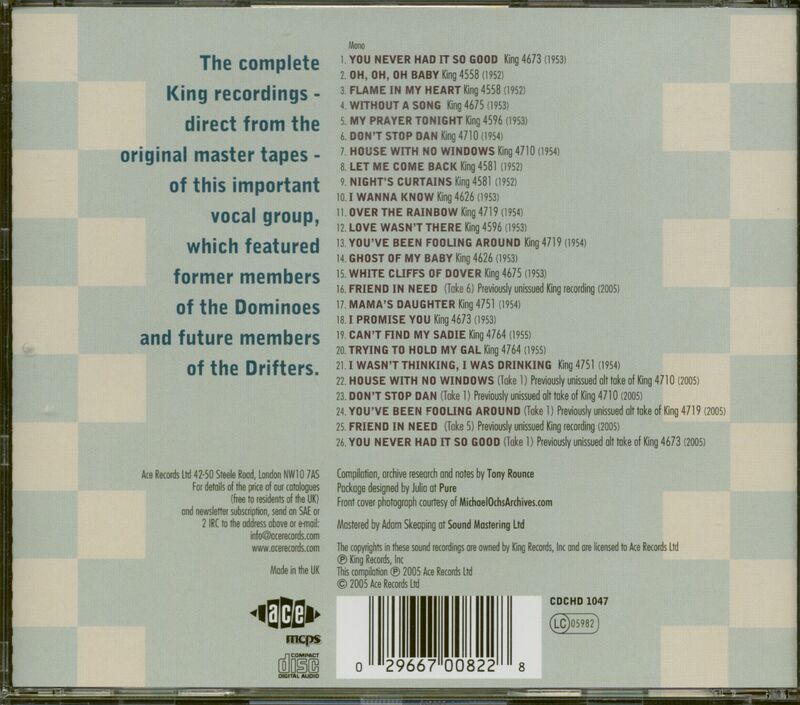 Customer evaluation for "Checkmate - Complete King Recordings 192-1955 (CD)"